Frankfurt (Germany) will be the stage of Team Poland’s first activity this year. 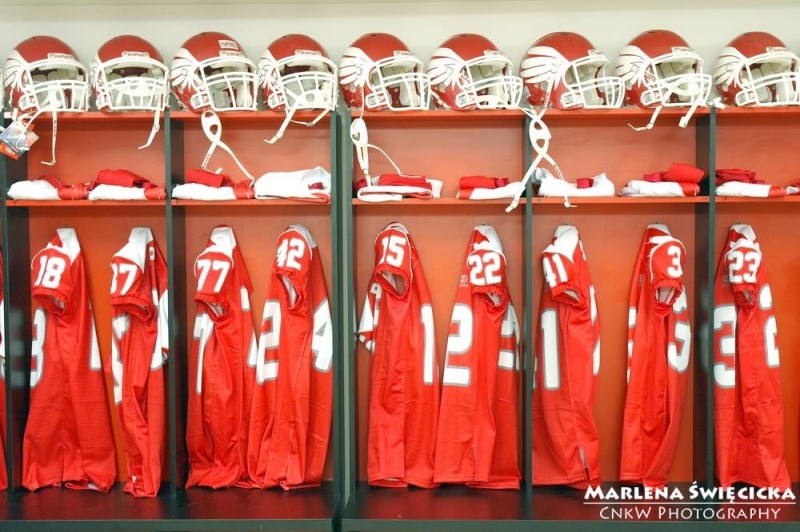 The Polish Federation of American Football (PZFA) is set to hold a National Team tryout for Polish players who play American Football outside of their motherland. The tryout will take place on April 2nd and 3rd, 2016 – giving interested players the opportunity to choose the date that best suits their schedule - on the practice fields of the Frankfurt Commerzbank Arena. The registration is now open (see registration link below) and the condition for applying athletes is to have Polish citizenship. The aim of this tryout is to supplement Team Poland with additional players as the squad is preparing for The World Games 2017, which will take place in Wrocław, Poland. In 2015 Poland has played 3 international games, winning against Belgium and Russia while losing the European Championship qualifier against the Czech Republic. The team is coached by an experienced international coaching staff with US native and former German National Team Offensive Coordinator Brad Arbon serving as the head coach. - After reorganizing Team Poland last year we have received a lot of interest from Polish players playing in European leagues. We were not able to consider those players in the short time before heading into our camp at the Olympic Preparation Facility in Cetniewo and the subsequent games. With the scheduled tryout in Frankfurt we are now addressing the need to evaluate those players and look to give all Polish players playing outside Poland a chance to impress the coaching staff. We are in touch with athletes who had played in Poland and left to play abroad, but it is much harder for us to monitor players who have never played in the PLFA. We are aware that there are many talented players, who would warrant a closer look from our coaching staff. One of our current team members, defensive end Michał Niemas, is a great example of such a player, who has formerly flown below our radar. After impressing our coaches on game film from the GFL and later in a tryout in Poland he has become one of the pillars of our defense. We are looking for exactly that type of players to show up in Frankfurt – skilled, committed and ready to contribute to our talented team. This is their opportunity to showcase their skill set and character in front of the coaches - says Marcin Łojewski, Team Poland Athletic Director. With several European leagues having started their season or being in the midst of season preparation the PZFA has decided to evaluate players on both, April 2nd and 3rd. This will give all interested athletes a better chance to participate, including players who may have league team games or activities scheduled on one of the days that particular weekend. This of course will be taken into consideration by the coaching staff. Players will perform basic physical tests and take part in individual, 1 on 1 and team drills. The main goal is to assess the physical ability and individual technique of participating players. After the tryout the coaching staff will monitor the performance of selected players and invite the best ones to the National Teams' summer camp scheduled to take place on August 1 - 8 in Cetniewo, Poland. The management of Team Poland reserves the right to reschedule the try-out in case of an insufficient number of registered participants. The registration deadline is March 24th, 2016. Participation in the tryout is free of charge with all transportation costs to be covered by the participants. For additional information please contact Marcin Łojewski - m.lojewski(at)plfa.pl or Filip Pawełka (international players coordinator/WR coach for Team Poland) - pilif4(at)yahoo.de.